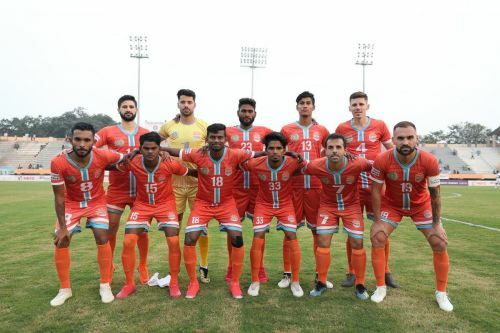 Chennai City FC extended their lead to three points following their 3-2 win over Gokulam Kerala in Coimbatore on Friday. The hosts are currently first in the league table with 24 points from 11 games, followed by NEROCA on 21. It was a fascinating contest at Jawaharlal Nehru Stadium, Coimbatore which promised out for goals galore. Chennai City's talisman Pedro Manzi bagged another three to take his season tally to ten goals in the I-League. The early part of the game was dominated by the visitors, but Pedro Manzi took full advantage from a corner to place the ball behind the back of the net to give the lead for the league leaders in the 7th minute. Ten minutes later, Rajesh's shot ricochets off the goal post and headed straight into the feet of Musa Muddle who had the easier option to tap the ball in from close range. Just when teams were settling out for an even-steven scoreline, Gaurav Bora handled the ball inside the penalty box. Joel Sunday's penalty was stopped, but the goalkeeper was helpless when he was able to tap in from the rebound. On Loan from Chennaiyin FC, Srinivasan Pandiyan, who made his first appearance off the bench just minutes before the half-time was sent off for a huge brawl with Arjun Jayaraj in the stoppage time. Both the players were shown the marching orders by the referee. Chennai City showed great determination in the second half to turn the game upside down. Nestor Gordillo and Pedro Manzi's combination was unstoppable for the visitors. The former assisted and later score on a couple of occasions in the second half. In this article, we shall look at the three talking points from the game. Commentators kept an adage that Pedro Manzi has not opened the scoring chart for Chennai City FC this season. He has always found the back of the net after somebody from his team already have. But, it took just seven minutes to register his eighth goal of the season with an extraordinary placement over the goalkeeper. When the hosts needed an inspiration, Nestor Gordillo's extraordinary ball deceived the center-back and the goalkeeper from which the striker was able to score with his head. The same combo worked well. Nestor shot the ball from outside the box which forced the save from the goalkeeper. Ricochet off the keeper, Manzi went for a 50-50 and won the challenge to complete his first half trick of the season. Interview with Shem Marton Eugene: "Hope to win I-League with Chennai City FC"